This is so funny, I actually got choked while i was eating. Thanks for the laugh. 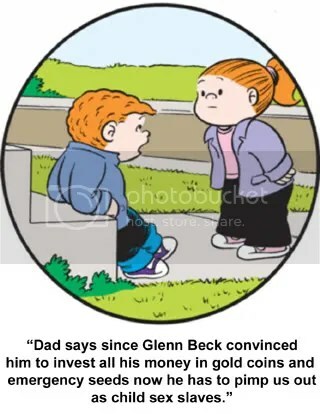 This entry was posted on June 22, 2010 at 3:25 am and filed under comedy,comics,conspiracy theory,culture,entertainment,Glenn Beck,horror,humor,illuminati,MK Ultra,new world order,New World Order Family Circus,politics,predictive programming,propaganda,The Comics Curmudgeon. You can follow any responses to this entry through the RSS feed.